Laura is the very first women’s super star freestyler. Her early play with partner G Rose helped create the women’s and later the mixed division play as compelling components of freestyle competition. 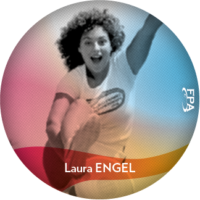 Laura was also a top overall player, winning the World Overall Frisbee Championship in 1978.